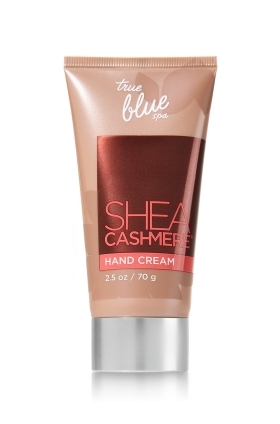 Our ultra-moisturizing hand cream glides on sensually like cashmere on skin. Non-greasy and fast-absorbing, this luxe formula nourishes and soothes hands while leaving them lightly fragranced with sweet Tahitian vanilla, whipped Shea and golden amber. Smooth into hands to leave them silky smooth & soft as cashmere.